The hallowed fairways of one of the world’s most scenic golf courses are a sanctuary for the privileged few who are members of the Banff Springs Golf Club and for travelling golfers fortunate enough to experience the combination of natural beauty and tradition that the Fairmont Banff Springs Golf Course provides. The 4th hole (Devil’s Cauldron) is one of the world’s most scenic par 3s. 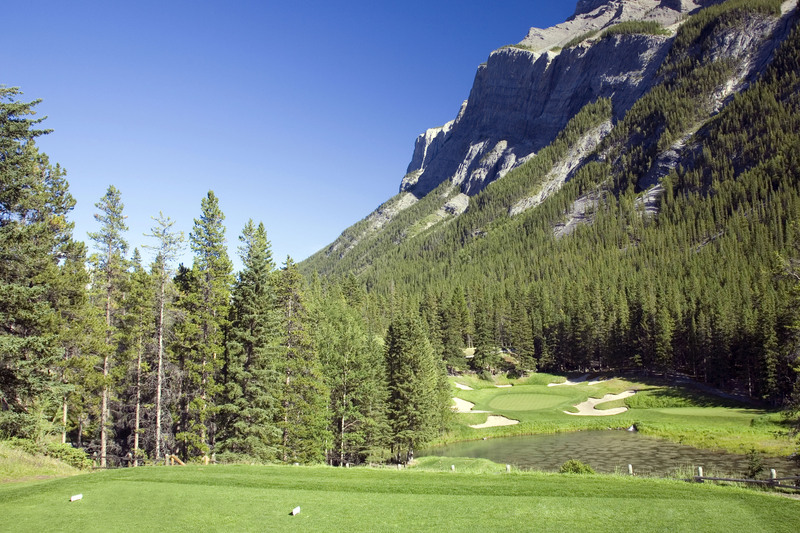 Although the Fairmont Banff Springs Golf Course is open to public play, Banff Springs Golf Club membership is restricted to residents of the Bow Valley and is limited to 200 adults and 75 juniors. Opened in 1911 as a nine-hole course laid out by Bill Thomson, a Scottish expatriate who apprenticed under Old Tom Morris at St. Andrews, the Banff Springs Golf Course was expanded to an 18-hole course by Donald Ross in 1924. But it was Stanley Thompson, Canada’s most significant and successful golf architect, who created the layout as it plays today. The course demonstrates his appreciation of traditional links golf courses while emphasizing the subtleties of the mountain landscape. Money was no barrier for the Canadian Pacific Railway (CPR), and when unveiled in 1928, the Banff Springs Golf Course was the most expensive ever built. Thompson’s layout incorporated some of Ross’s holes but also included some stunning new ones—none more iconic than Devil’s Cauldron, a short par 3 over a glacial lake nestled below the impossibly steep face of Mount Rundle. Devil’s Cauldron is one of the most famously scenic holes in the world of golf. A club event in the 1920s. Courtesy: Whyte Museum of the Canadian Rockies (v408-ps-22-1). 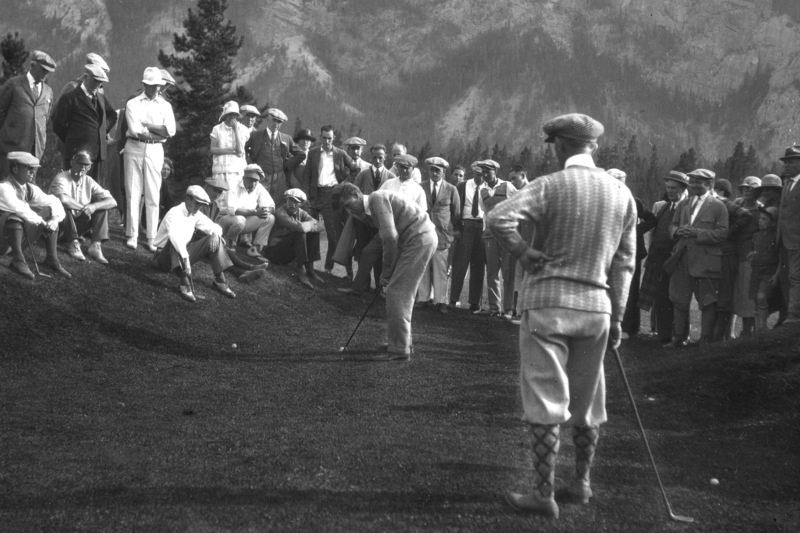 Although the Banff Springs Golf Course was built with visitors of the Banff Springs Hotel in mind, by the time it opened in 1911, the village of Banff had grown into a bustling tourist destination with a growing number of middle class mer­chants and professionals, many of whom had come from larger eastern Canadian cities where golf was already popu­lar and had a following with the social strata to which they aspired. Not surpris­ingly, several of these residents were eager to form a club to play the new course, which they did on July 13, 1911. Trees have matured, longer tee boxes have been added, and the rotation has changed since the original Stanley Thompson course opened in 1928, but thankfully, the layout itself remains a diligent custodian of the architect’s timeless design. Careful restoration programs ensure that the course remains as Thompson originally envisioned. 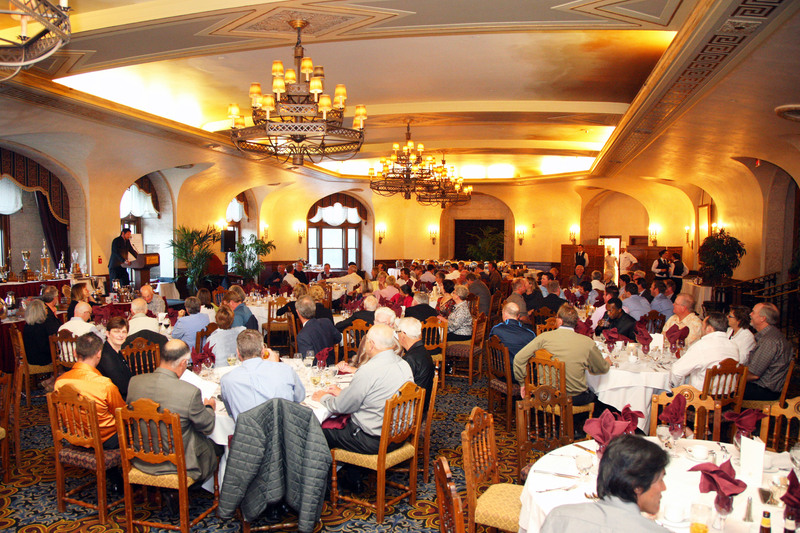 The grandiose surroundings of the Fairmont Banff Springs is an ideal setting for the club’s end-of-season banquet. While the mountain setting is its most appealing feature, there are many other reasons that the Banff Springs Golf Course is special, none more important than the endearing pride possessed by the members of the Banff Springs Golf Club and the unwavering commitment of superintendents and administrators to create a magical golfing experience.